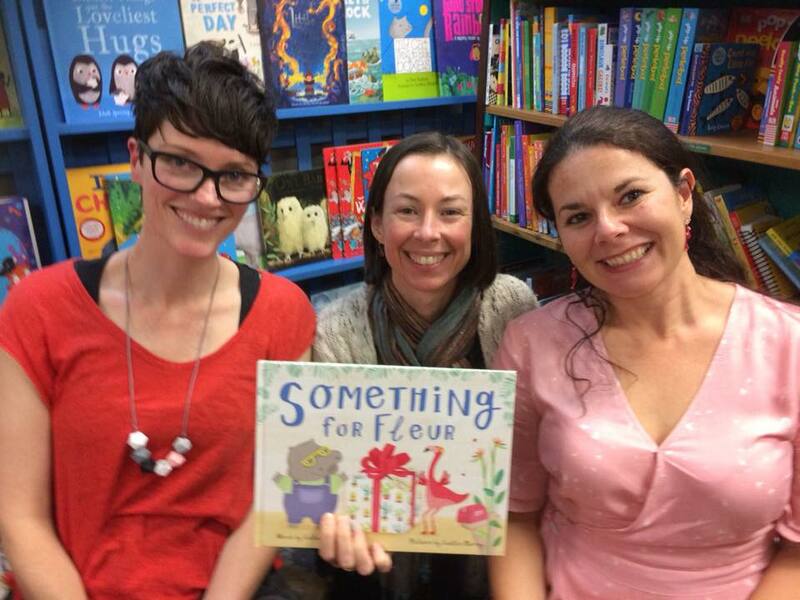 Congratulations to Catherine Pelosi who launched her new picture book, Something for Fleur in August! Judging by the social media pics, it looks like such fun, complete with with Fleur and Bo cupcakes! Yum! Wish I was there! This is part three of my interview with Catherine, and we look at the author’s role in promoting and marketing their books, the importance of connecting with readers, and find out Catherine’s top tips for writers starting out. 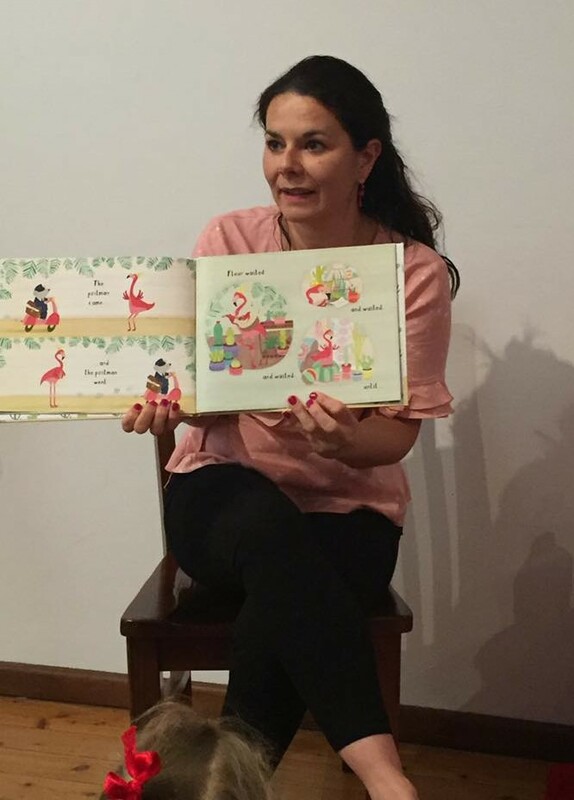 In part 1 we explored what got Catherine writing and how she developed her skills, so that her work was picked up for publication, and in part 2 we saw how Catherine got her start in the kid lit industry, about agents and publishers and the like. There has been so much to learn from her experiences. Catherine, I see you around at various events like for CBCA and SCBWI and supporting friends as they launch their books. What do you see as the value of these events? I love attending book and writing events. I really believe in being part of the writing community and the support and encouragement we give one another. It’s been such a thrill to see so many of my writing buddies launch their books – I would never miss out on such an exciting moment! Book launches are the best. On top of that, I think it’s great to stay on top of what’s happening in the industry. 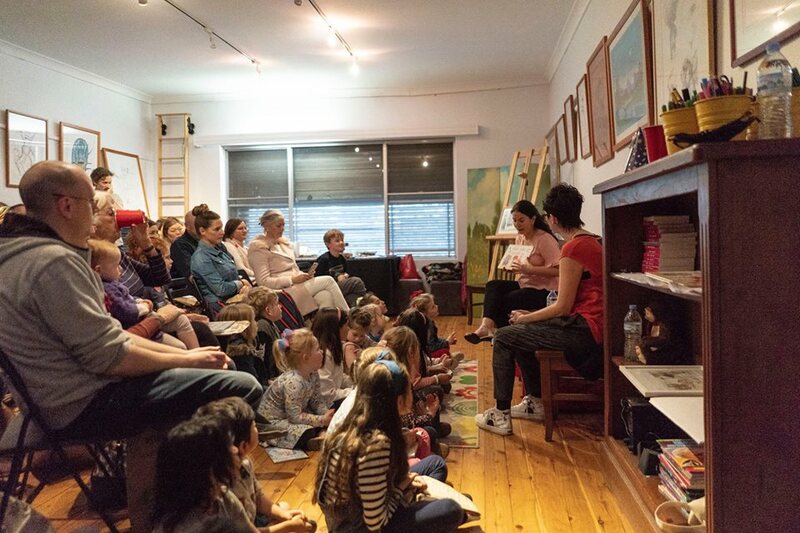 It’s good to know what books are coming out, meet new authors, librarians, booksellers and the many other people that make up the wonderful children’s book community. You went overseas recently as a guest of an international festival. What can you tell us about that and how did that come about? What do you see are the benefits of speaking at these events to you as a writer? Yes, how lucky am I! Hachette asked if I would like to attend the Sharjah Children’s Reading Festival in the UAE in April, and of course I said yes. 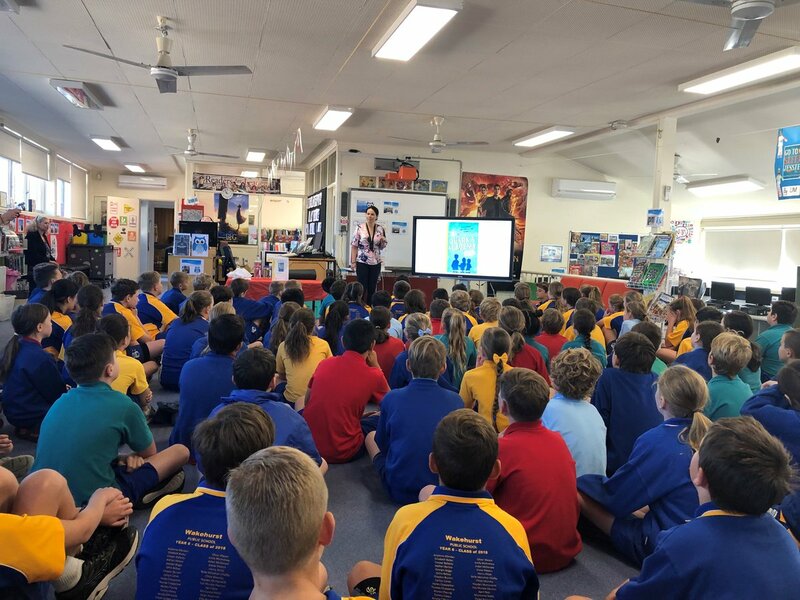 I went for six days and spoke at two schools and took part in a panel discussion about inspiring young people to learn more about science. The panel was held in Arabic, so I wore headphones as the conversation was translated into English simultaneously -. such a great experience. 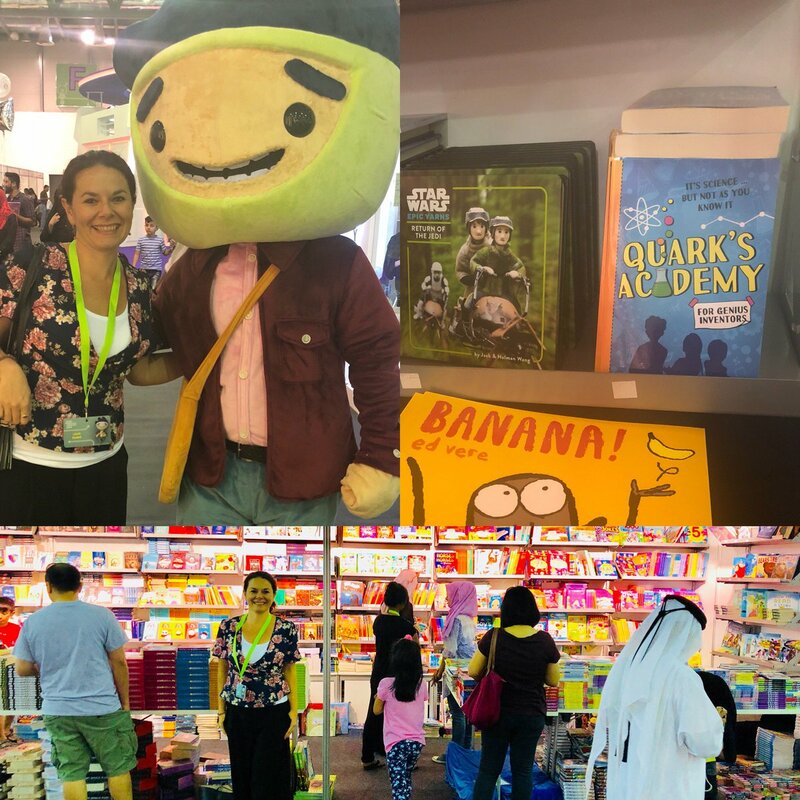 It was fantastic to connect with young readers, as well as meet other authors and illustrators. Fellow Aussies Kat Apel, Jen Banyard and Oliver Phommanvanh were there as well. Along with authors and illustrators from the UK, Germany and the US. It was a terrific experience and amazing to talk to readers on the other side of the world. I also see that you have been busy speaking in schools – What do you think you and the children gain from such visits? It’s such fun to meet readers and talk about the book in more depth. I hope that the visits inspire kids to read and write their own stories as well. When I visit schools, we do lots of fun science experiments and the kids are so responsive. They love to get involved. After one of my talks a teacher asked who would like to read ‘Quark’s Academy’ and all of the one hundred students put their hands up! I think it’s because we explored science in such a fun way (doing stink bomb experiments and jet pack launches) that the kids who may not normally be big readers thought it could be worth checking out. What do you see as the role of the publisher and the role of the author/illustrator in promoting their books? What involvement do you have in promotion? It’s definitely a joint effort. Authors need to get out there and promote their book and I think publishers are there to support the authors where possible. I really enjoy meeting young readers and talking about the book, so it’s been fun for me. I also think social media is a great tool to communicate with readers, parents, librarians and bookstores. You have a background in marketing and communication, how do you think this has helped? I think it’s given me a good understanding of the business side of books. I quickly realised that being an author is much more than being behind a laptop. It’s about getting out there and meeting with readers, doing interviews and talks. My marketing and communications experience has been useful in that way. I currently work as a social media manager as well, so it’s handy to understand how all that works too. I really like Twitter, and Instagram is fun. Facebook seems harder to do well these days, but I think it will keep changing. I love that so many people in the book industry use Twitter, it’s a party that’s happening 24-7. You can dip in and out as you like and there is always something fun going on and someone great you can ‘bump’ into. I’m not surprised – I see you there quite a lot! Twitter is my favourite too! Look at every aspect of story. There are so many elements that you need to get right. It’s easy to just focus on the ones you enjoy. For example, you might love plotting but not give much attention to characterisation. To get a story to a publishable level, I think you need to tick off every component. Remember that ultimately, it’s your story. You can take on feedback and listen to other people’s opinions but at the end of the day, you’re the writer. So, have faith in your own judgement. Take chances. If opportunities come up where you can share your work, take them! Step out of your comfort zone. It may not always work out but if you think your story is ready to share, take every chance you can…you just never know what might happen. Great advice from Catherine! Thanks so much for speaking with us! You’ve left us with a lot to think about. I’m looking forward to meeting the Maniacs next year! (Catherine’s Junior Fiction Meet the Maniacs is due out next year with Hachette). You can find Catherine online at catherinepelosi.com and on twitter @catherinepelosi and facebook @catherinepelosiauthor. 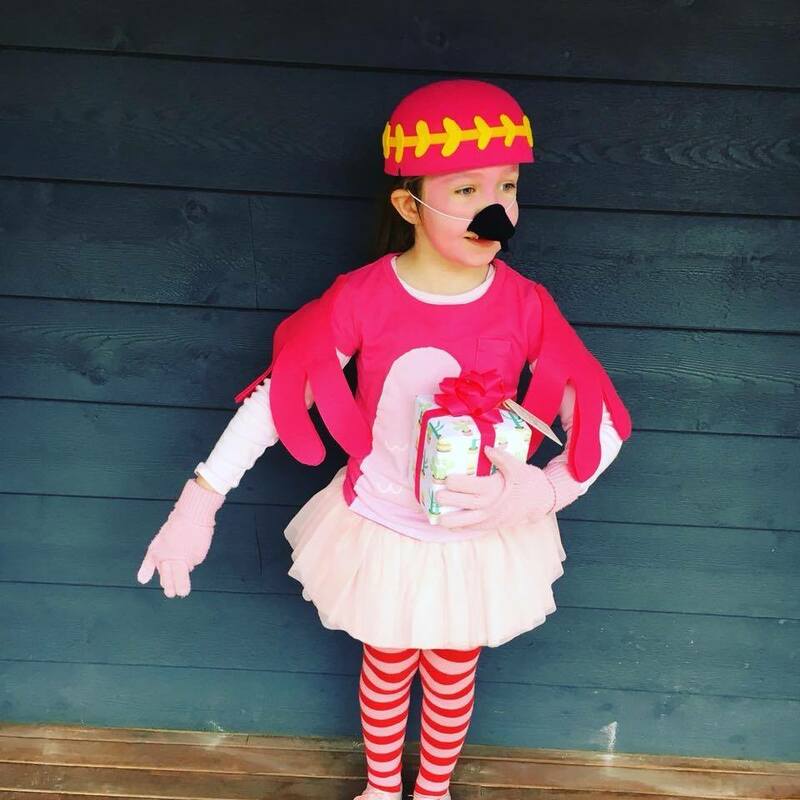 PS You know you’ve made it in the kid’s lit world when someone dresses up as your character for book week! And look at this gorgeous costume of Fleur!